Dale Kawashima, music publishing exec and Head of SongwriterUniverse, fondly recalls the five-year-period in the 1980s, when he pitched Prince’s songs for cover recordings. It was a terrible shock for all of us, when we recently heard that Prince had died. He was one of the most brilliant, pioneering artists and dynamic performers of all time, and we were all fans. I hope this article offers some insight into Prince as an artist, songwriter and businessman during his breakthrough ’80s period. Things started for me in the fall of 1981—I was in my early 20s and working as a junior exec at Jobete Music, the publishing division of Motown Records in Los Angeles. My job was to pitch the classic Motown songs for cover recordings, plus pitch songs by the new Jobete songwriters. It was an honor to work at Motown, but after two years there, I was thinking about starting my own business. I first became a Prince fan the year before, when he released his third album Dirty Mind, which was a cutting-edge, totally original work. With this album, Prince created a daring new musical style and sound, and he made the rare leap from promising new artist to full-on, creative genius. As I listened closer to all three of his albums, I noticed that each album (including his first two albums, For You and Prince) contained songs that could be placed with other artists for cover recordings. I had a friend, George Guim, who worked as a young exec at Cavallo, Ruffalo & Fargnoli, the prominent management company which represented Prince, Earth Wind & Fire and other artists. I asked George if he could please ask Steve Fargnoli (who worked closely with Prince), if Prince might be interested in having me pitch his songs for cover placements. 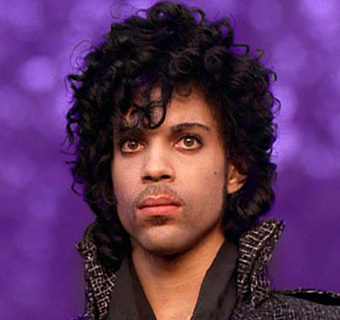 I offered to work on pure commission—I would only be paid if I was able to place Prince’s songs. Fargnoli liked this idea, and in November 1981 a contract was drafted, which stated that I would pitch a specific list of Prince compositions that had already been released, for potential placements. We agreed on a very fair commission, and I started this new endeavor, feeling I could be compensated well if I could deliver some placements. One of my favorite Prince songs that I believed had placement potential, was “I Feel For You.” It had been released on Prince’s second album, but it hadn’t been released as a single. My first pitch of “I Feel For You” was to renowned producer Richard Perry for his group, the Pointer Sisters. I was excited that the group recorded “I Feel For You” and it was released on their album, So Excited. However, when their version was not released as a single, I resumed pitching “I Feel For You” to other artists. It was in early 1984 that I pitched “I Feel For You” to legendary producer Arif Mardin, for possible recording by Chaka Khan. I was pleased when Arif called me and said he would be producing “I Feel For You” with Chaka. A few months passed, and I was just hoping the recording would be included on Chaka’s next album. Then one day, Arif called—he said they were very excited about their version, and that the cut now featured an opening rap by Grandmaster Melle Mel and a harmonica solo by Stevie Wonder. It would be released as Chaka’s next single. I thought…WOW! Chaka’s performance and Arif’s production were phenomenal. Chaka’s “I Feel For You” would become a worldwide hit and win two Grammy awards, for Best R&B Song (for Prince) and Best Female R&B Vocal Performance (for Chaka). This was way beyond the wildest dreams of a songplugger who was just hoping to get placements. Another interesting story happened around the same time. I pitched some Prince songs, including “When U Were Mine,” to A&R exec & producer Rick Chertoff, who was producing an artist who already had success, Rachel Sweet. After a few months went by, I received a call from Chertoff’s assistant. She informed me that Sweet’s album did not include a Prince song, but that Rick would be cutting “When U Were Mine” on a new artist named Cyndi Lauper. This was months before the release of She’s So Unusual, which would become one of the best-selling albums of the ’80s and win multiple Grammy awards. So here’s another example of a plugger getting lucky, landing a song on a huge album. I continued pitching Prince’s songs, and I was excited when Meli’sa Morgan recorded “Do Me Baby” and it became a number one R&B hit, and Stephanie Mills recorded “How Come U Don’t Call Me Anymore,” which was also an R&B hit. There were also three newer artists who took a chance, recorded a Prince song, and made it their single: Debra Hurd, Rainy Davis and Cheyne. I also appreciated that Joseph Jackson (father of The Jacksons) was supportive of having his daughters, La Toya Jackson and Rebbie Jackson, record Prince songs for their albums. Throughout this period of working with Prince’s songs, I only had the opportunity to meet Prince one time. It was at the 1985 ASCAP Pop Awards in Los Angeles—Prince was there to accept awards for “I Feel For You” and his other hits. During the evening, I was introduced to Prince by Steve Fargnoli. He said, “This is Dale…he pitched ‘I Feel For You’.” I shook hands with Prince, and he said, “Thank you.” Those were the only two words Prince would say to me, but I was elated to be thanked by this brilliant artist. Being able to pitch Prince’s songs was the opportunity of a lifetime. As a result of having success with Prince, I had the honor of pitching the great song catalogs of Bruce Springsteen, Bob Dylan, Burt Bacharach & Carole Bayer Sager, Ray Parker Jr., and Billy Steinberg & Tom Kelly. Then in late 1987, I was offered and accepted the position of President of Michael Jackson’s ATV Music (which years later merged to become Sony/ATV). When Michael Jackson interviewed me for the job, I think it was a big plus that I had worked with Prince, whom he had great respect for. I will always be grateful to Prince and his team for giving me the opportunity to represent his song catalog, which contains many of the greatest songs of all time.